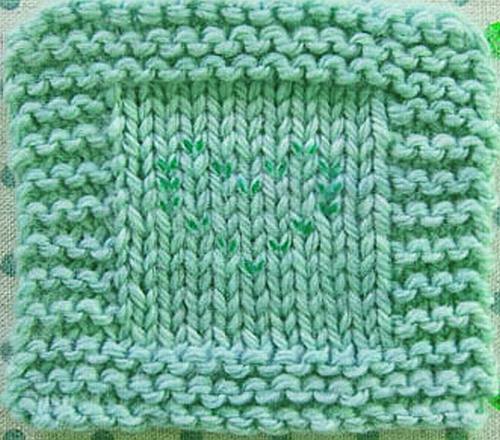 Knitting Galore: Wednesday Question: What Is Duplicate Stitch? 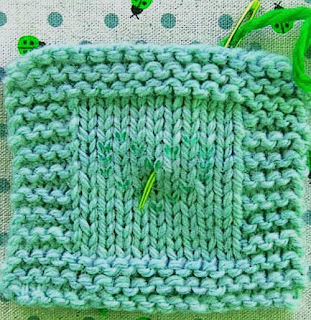 Wednesday Question: What Is Duplicate Stitch? All knitters have questions about the best way to do things, why different things happen while they are knitting, how to fix knitting mistakes and more. Here is this weeks question from Lilian Marshall. 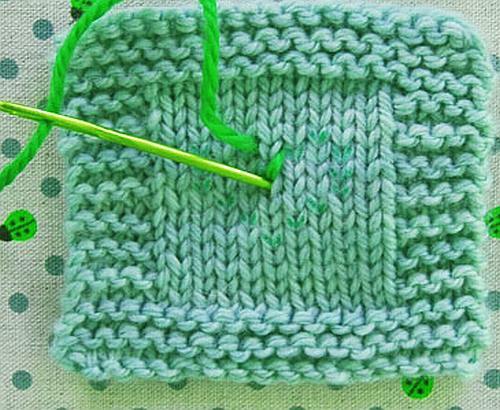 What is duplicate stitch? 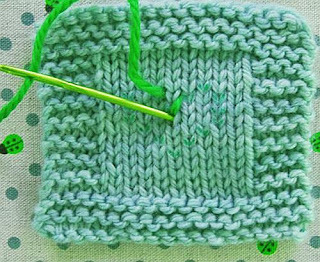 Answer: Duplicate stitch, also called Swiss darning, allows you to go back over your knitted stitches with a different colour. 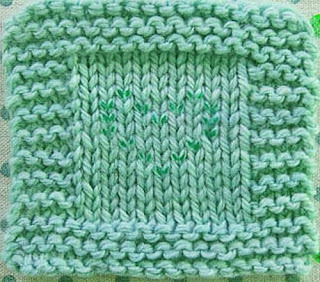 When you do duplicate stitch carefully, you can’t even tell that the stitches weren’t knit in the contrasting color (at least, not without scrutiny). The basic concept of Duplicate Stitch is in its name. 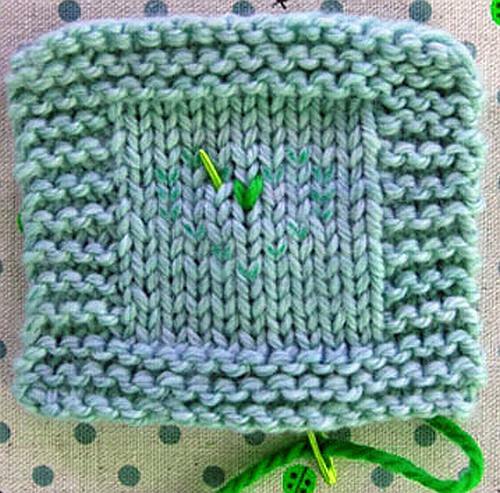 You sew over your finished knitting with a contrast colour, "duplicating" the original knit stitches. 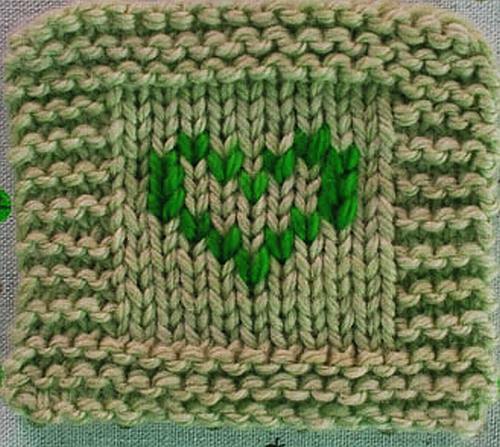 It's much easier than fair-isling or intarsia. 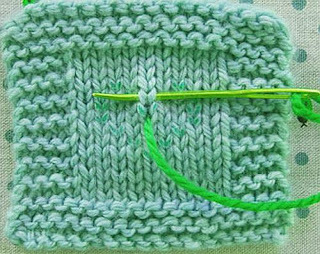 To work duplicate stitch, you need a finished piece in stockinette stitch, a good yarn needle, and some contrasting yarn of the same weight as the knitted piece. Next, thread the needle across the stitch ABOVE the one you are dupicating. And then insert the needle back into the bottom of the "V", the same place where you began. One stitch duplicated! 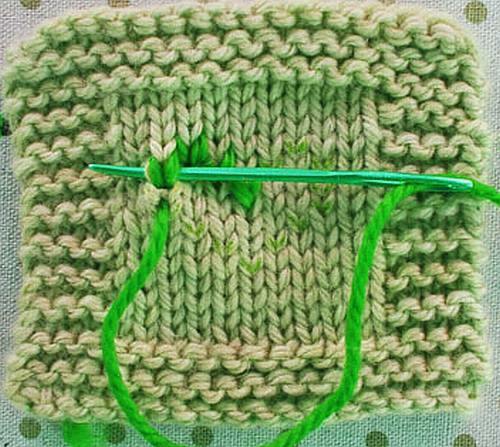 Do the same thing for the next stitch. 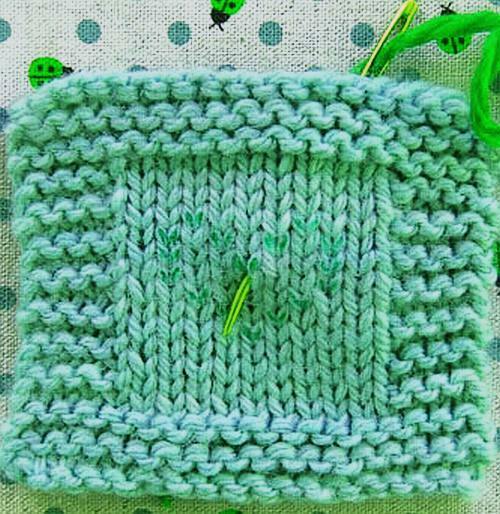 Start at its bottom point, sew across the stitch above it, and back down your starting place. 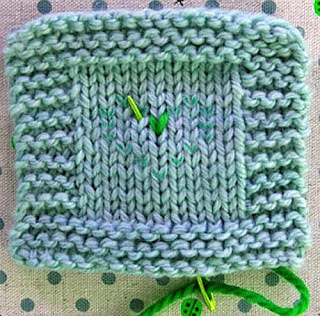 If you want to duplicate vertically adjacent stitches, you'll have to sew under both the original stitch and the duplicate stitch. That's ok.
Keep going until you're done. 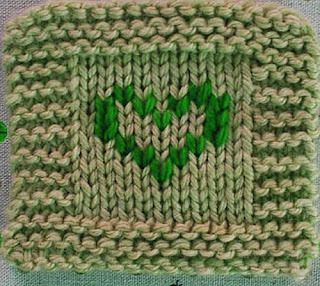 If you have a knitting question for Knitting Galore, please email it to : dbjones5559@hotmail.co.uk or Please post it as a comment here. 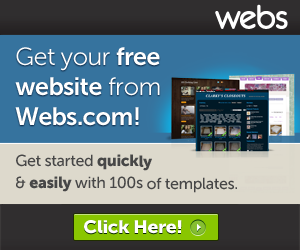 All questions will be answered, and many are selected and answered each wednesday here on the Blog.